While car, truck and SUV thefts in New York and throughout the nation have dropped significantly. They do still occur. In New York City alone, since 1990, the rate of car thefts has dropped 96 percent – from 147,000 in 1990 to only 7,400 in 2013. While the drop in auto thefts makes it less likely an individual will wrongly face charges for grand theft auto or related crimes, it does still occur. If you are facing extremely serious felony charges, the guidance and advocacy of an experienced criminal defense attorney can increase the likelihood that the charges against you will be reduced or that you will not face the maximum statutory penalty. If you have criminal concerns due to auto theft charges or related crimes, do not hesitate to contact an experience criminal defense attorney. 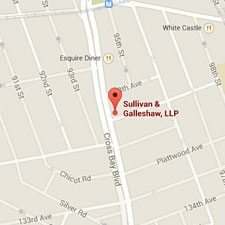 The lawyers of Sullivan & Galleshaw are committed to protecting the rights of the accused. The theft of a motor vehicle can trigger a number of criminal charges. However, the first crime that would come to most people’s mind is grand theft auto. In New York, grand theft auto is typically called grand larceny in the fourth degree. As per New York Penal Code §155.30, grand larceny in the fourth degree occurs when an individual steals property where the value of the property exceeds $1,000 or when the value of the property exceeds $100 and the property is a motor vehicle, exclusive of motorcycles, as defined by the New York traffic code. Grand larceny in the fourth degree is charged as a class E felony in New York. Joyriding — As per New York Penal Code §§ 165.06, 165.06 165.07, and 165.08 the crime commonly referred to as joyriding actually termed unauthorized use of a vehicle in New York. The crime is defined as the taking or using a vehicle without the owner’s permission when there is no intent to permanently deprive the owner of the car, truck, SUV or other vehicle. Anyone who takes, controls, operates, or otherwise uses a vehicle without the owner’s permission commits the crime of unauthorized use of a vehicle. Depending on the facts and circumstances, the unauthorized use of a vehicle can be charged as a Class E or D felony, or as a Class A misdemeanor. Criminal possession of stolen property in the fourth degree – As per New York Penal Code §165.45, if you come to knowingly possess a stolen vehicle you can be charged with a class E felony. Carjacking – As set forth in New York Penal Law 160.10, robbery in the second degree, carjacking occurs when a person by brandishing or displaying a weapon or through use or threat of force takes a motor vehicle from its rightful owner. Carjacking can be charged as a class C felony. Failure to return a rental vehicle — New York does not have a law that specifically addresses the failure to return a rental vehicle. Depending on the facts and circumstances present, such an act is likely to be charged as joyriding or theft of a motor vehicle. The foregoing is not meant to be a comprehensive listing of all vehicle theft related crimes that can be charged, but it does address some of the more common charges. Furthermore, if you are facing felony or misdemeanor charges in New York do not attempt to navigate the criminal justice system alone. An experienced criminal defense attorney can increase the chances that you will not face the maximum possible sentence. 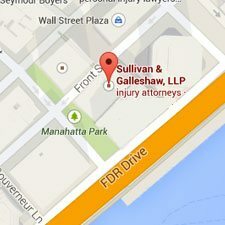 Are there defenses to car, truck or SUV theft charges? Consent – You actually had the permission of the vehicle’s owner to take possession of the vehicle and use it. Lack of intent to permanently deprive the individual of the vehicle – Grand theft auto charges require that the individual intended to permanently deprive the owner of the vehicle. If the individual only intended to use the vehicle for a period of time, these class B felony charges would not be appropriate. Mistake of fact – After buying a car, driving the wrong vehicle off of the dealer’s lot would not constitute motor vehicle theft. Rather, mistake of fact would be defense to charges that may be brought. Similarly, if you believed that you had the authorization of the owner when you did not these circumstances would also likely constitute a mistake of fact defense. Working with an experienced auto theft defense attorney can help you defend against serious criminal charges aggressively and strategically. 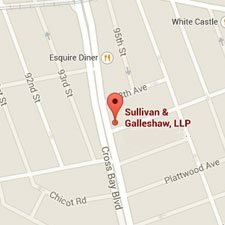 At Sullivan & Galleshaw, our goal is to eliminate or reduce the charges you face. To schedule a free and confidential initial consultation call (800) 730-0135 or contact us online.